September 11, 2018 – Ignited had the great pleasure of sending several of our 2018 Summer Fellows to Facebook’s Menlo Park campus, where they learned today’s practical applications of their classroom coursework from their amazing Oculus Mentors. They worked on VR-related projects, ranging from reliability testing and writing code for robots to documenting best practices. 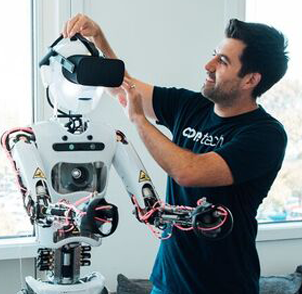 Oculus beautifully captured the amazing impact their employees had on our passionate teachers in a series of featured Oculus VR blog posts. 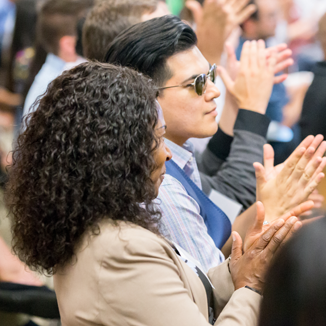 August 28, 2018 – Sixty-three Bay Area teachers are back in the classroom, better equipped to inspire and prepare thousands of students for careers in science, technology, engineering, and math thanks to summer fellowships they completed with top Silicon Valley companies. Working side-by-side with industry employees to deliver on real business objectives, the 2018 Teacher Fellows have gained insight into what it means to work in cutting-edge industry roles, along with confidence in their ability to deliver a relevant and challenging STEM learning environment for their students. June 14, 2018 – An enthusiastic group of Bay Area teachers are working with the world’s top companies to get new skills and experiences they can bring to their classrooms. Teachers from across the Bay Area joined Ignited’s CEO, board members, and coaches to kick off their annual Summer Fellowship Program. Teachers get unique opportunities to do hands-on work for eight weeks with technology leaders. They bring their experiences back to their classrooms and turn it into interesting new curriculum, experiments and ideas for their students. August 25, 2017 – Fleming’s Santa Clara rolled out the red carpet to welcome Ignited for a fundraiser and fabulous grand opening party. Guests were greeted with champagne and a stop in the photo booth before entering the brand new restaurant in Santa Clara Square. To officially kick off the evening, LeRoy Godfrey, Fleming’s Santa Clara Operating Partner, and Kurt Krukenberg, President of Ignited’s Board of Directors, welcomed the audience and thanked everyone for coming out to support STEM education in their local community. August 17, 2017 – Course Hero, an online learning platform that empowers millions of students and educators to succeed, today explained how Bay Area educators embedded within the company for the summer plan to use their experience to advance student learning outcomes at local schools. The summer program was completed in partnership with Ignited, a local non-profit organization that facilitates transformational experiences for educators impacting students and sparking creativity in the classroom. August 3, 2017 – Over one hundred educators, industry mentors, and other professionals gathered at Agilent Technologies in Santa Clara for the annual celebration of Ignited’s Summer Fellowship Program. For the past 33 years, this program has offered Silicon Valley teachers unique opportunities to work at a local company or research lab and then translate their own real-world experiences into immersive STEM curriculum for their classrooms. This is a transformative experience for Ignited Teacher Fellows, who have impacted 3 million students. June 20, 2017 – Ignited is excited to announce that we have been selected to receive an Early Childhood STEM Challenge grant from 100Kin10. This grant, awarded to ten organizations across the country, seeks out visionary teams who can identify and incubate “moonshots” enabling teachers to create active STEM learning environments for students in grades P-3. We are thrilled this award funds the development of Spark Early Education STEM (SparkEES), a new program to improve 2nd and 3rd grade STEM instruction. May 19, 2017 – Shari Liss, Chief Executive Officer of Ignited, has been recognized by the Silicon Valley Business Journal as one of the most influential women in the Bay area. For the past two decades, Shari has served her community as an educator, entrepreneur, volunteer, and nonprofit leader. 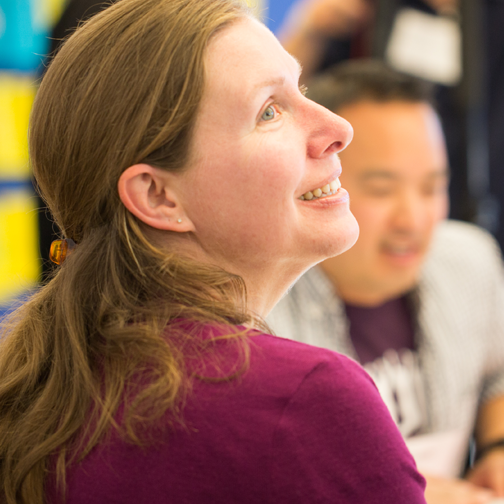 During her tenure at Ignited, she has engaged directly with over one thousand teachers from hundreds of Bay area schools. Shari’s efforts to lead and expand the fellowship program have positively impacted over one million local students.